KEYWORK GOLD İÇİN 1000 USD İLAVE EDİLECEKTİR. SOLID SILVER THUMP AND REGISTER TUBE İÇİN 300 USD İLAVE EDİLECEKTİR. The new CG Carbon is the most technologically-advanced clarinet ever made. Using a patent-pending process, we wrap the finest exotic hardwoods in a carbon fibre shell which decreases the weight and vastly increases the strength and tonal stability of the instrument. 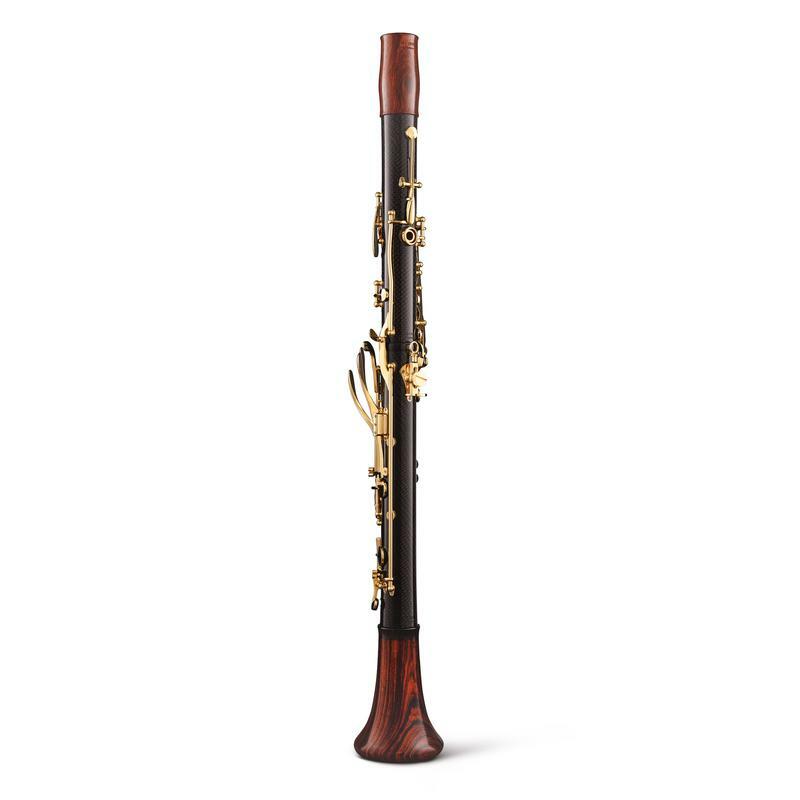 This virtually eliminates the risk of cracking and allows you to relax and enjoy the enhanced playability and performance of a Backun Custom Artist level clarinet in a wide range of temperature and humidity conditions. This limited production signature model was designed alongside Maestro Corrado Giuffredi and represents a giant leap into the future for those clarinetists lucky enough to acquire one. SİPARİŞ İÇİN MÜŞTERİ TEMSİLCİSİ İLE GÖRÜŞÜN.